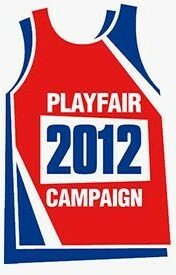 The Playfair 2012 Campaign has launched with new cross-curriculum teaching resources for learners aged 9-14. We’ve reported on the campaign in the past, recommending teachers utilize this interactive online game in the classroom. Educators can order material directly from the campaign, or download the education packages, activity cards and pamphlets. The campaign coalition is made up of Labour Behind the Label, the Trades Union Congress, the International Textile, Garment & Leather Workers Federation, the International Trade Union Federation, the Clean Clothes Campaign, Maquila Solidarity Network and Clearing the Hurdles. This entry was posted in Curricula, Labour Behind the Label, Pre-16, Responsibility, The Clean Clothes Campaign on October 21, 2011 by Mary Hanlon.